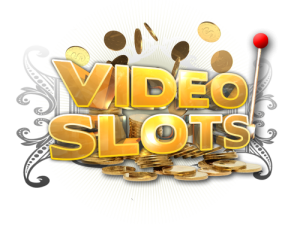 Video Slots is a newly launched brand on a great name as it fully describes what’s on the offer. This company is all about shiny graphics and excitement that is brought through slot machines. You’ll find a wide variety of slot machine games offered in all categories including video slots, classic slot machines and finally, progressive slots as well. 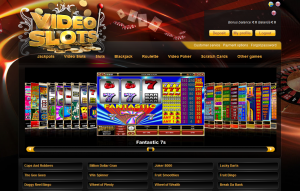 You’ll be able to win millions of dollars if you get lucky enough while playing at VideoSlots.com! There are more than 250 slot machine games offered at Video Slots, most of whom are powered by PlayTech and MicroGaming, two industry leading software developers and are of really high quality. All games are also tested by independent third party testers to ensure 100% fair gaming. All games can be accessed by using an instant flash based version which allows you to play slots directly from your browser, without leaving your home! Let’s take a look at some of the games that are offered at VideoSlots.com Casino. We aren’t trying to point out that these are absolutely the best ones to play, but they do stand out from the crowd by offering some unique features and being visually appealing. Immortal Romance – a recent slot release based on the big hit saga movie known as Twilight. It’s based on the theme of forbidden love. In hindsight, Immortal Romance is a rather simple 5 reel slot machine with 243 ways to win, which guarantees maximum amount of action. 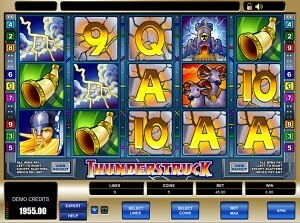 Mega Moolah – likely the most popular and known slot machine from all the ones that are offered at VideoSlots.com . It’s a 5 reel, 25 pay line jungle themed slot game that offers several huge progressive jackpots, the largest of whom goes well into 7 figures and has paid out millions of dollars. The Dark Knight – another late 2012 slot release from MicroGaming. The Dark Knight is based and developed after the theme of Batman and also offers the all new 243 ways to win technology. There’s also a nice addition to it all – a progressive jackpot, which exceeds $1 million as we speak. King Cashalot – a 9 pay line video slot machine that is themed after the King Arthur and his knights. Even though the amount of pay lines might not sound too promising, you’ll experience a pleasant gaming environment that comes from the free spins feature as well as the bonus rounds. Tiger vs Bear – a new, recently launched slot machine that is based on the theme of never ending discussion who would win in a fight versus these two animals. It’s a 25 pay-line game with exceptional graphics and amazing visual elements. Win free spins as well as enter the Siberian Battle round where extra credits are awarded. Join VideoSlots.com now and claim your $100 + 10 free!